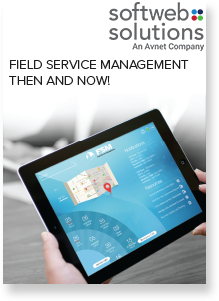 Field Service Management - Then and Now! Field Service Management – Then and Now! Effective Field Service Management (FSM) solution is paramount to manage field technicians and provide better customer service with higher efficiency. FSM is no longer about “getting the job done”; it is more about reducing operational costs and improving customer experience which have become the main challenges that can be eliminated with mobility. See how enterprise mobility has changed businesses and enabled enterprises to meet today’s growing challenges.